We bandy around the word 'ghetto' so lightly today. Casually thrown at poor neighborhoods, where certain communities congregate. What we really mean is opportunities are limited for social mobility there. We apply it to music, fashion or the street lexicon of areas in poverty. To some, 'ghetto' is the height of cool. But that's not the Ghetto. The reality was being trapped behind high walls, with literally no means to escape. Ensnared with all you knew and loved, in the certain knowledge that you were going to die. The next yell could be the order to gather and march. At any moment a gunshot through the window would render the waiting over. 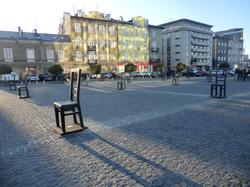 A trip to the Krakow Ghetto clarifies it all. I first entered the ghetto in an electric car, peering through plastic windows, as the tour operator told his tales. It was night-time and the art installation in the central square was lit up. Tiny lights under every chair cast a beautiful golden glow. Long shadows reached out from all sixty-five of them. My artist friend gasped in surprise. She'd seen this in books, but never known where it was located. I'm not an artist. My eyes were already scanning the tall, brick buildings, recalling all I'd read in history books. Imagining several families crammed into single rooms. My mind's eye had superimposed the confusion and terror of the deportations, the crack of gunfire, the forced marches. I hadn't even sussed that I was in Zgody Square. It's been renamed now: Plac Bohaterów Getta (Ghetto Heroes Square). Though perhaps if my mind was less in history and more in art, I would have found that the clues were there. Sixty-five wooden chairs, uplit so wonderfully, reminiscent of the furniture left strewn across the streets and into the square. Sixty-five to each represent one thousand Krakow Jews, who died in the Holocaust. Of a pre-war population of 66,000, only 1,000 survived. Only 130 of them returned to their home city. There are just 250 Jews in Krakow today. Those are statistics. The sort of incomprehensible figures which mean nothing, until you're staring at an art installation of sixty-five chairs, and you've finally realized what they mean and where you are. I can imagine 1,000 people gathered around a single chair. For a moment there, I almost grasped all 65,000. Suddenly it was no longer just a pretty piece of art. I wasn't giving it the cursory glance of someone who really needs to be walked through symbolism and visual metaphor, before I can fully appreciate the artistry. You didn't need to be an historian to see the tragedy laid out, stark and bare, lights in the darkness. The brutality was in the beauty. And it worked. Tadeusz Pankiewicz was the only Polish gentile given permission to stay within the Ghetto walls. His business was there and it was allowed to stay open to service the Jews. He witnessed everything. His memoirs of those times were the inspiration behind the Plac Bohaterów Getta art installation. Image: Tadeusz Pankiewicz's Pharmacy (black door) and electric tour bus. There's no need to picture Krakow's Jewish Ghetto in your mind. It's all still there, including segments of the wall itself. Our tour guide Jack drove the little electric minibus out of the square and around the corner. He pointed out places of interest - there was a gate there. That street was blocked off by barbed wire, and this one was bricked across its junction. I was still stunned by actually having comprehended the scale of the tragedy, through the medium of art. I was barely taking it in. Besides it meant nothing with a bit of imagination to mentally erect those barriers once more. Then he pulled up to the kerb and directed our attention to our right. The Ghetto walls were still standing. They loomed, solidly threatening in the street-lamps and shadows, just feet away. I never cried in Auschwitz-Birkenau, when I visited the next day. But tears flooded my eyes and fell steadily down my cheeks, as I surveyed the Krakow Ghetto walls on Ul Lwowska. The former was too over-whelming to grasp at the time. The latter was bite-sized enough to fully understand. The first Jews herded into the Ghetto were forced to build the walls that would imprison them in there. They were erected in the shape of traditional Jewish tombstones. Their effect was to be as much psychologically intimidating, as physically restrictive. I imagined the sorrow of the people made to build them, and the impact upon those who saw them for the first time, as they were directed to pass between those gates. And the horror with which those living alongside those walls would survey them every day. I recalled my history books telling me that guards would shoot at random any Jew caught looking out of the windows. The policy was that no 'Aryan' person should even see the 'sub-humans' living within. The Jews were supposed to disappear entirely. The tour guides and historians refer to this as the Krakow Ghetto. For those who live and work there, the district is what it's always been: Podgórze. There's a flip-side to the forming of a ghetto, which people rarely contemplate. These areas do not exist in a vacuum waiting to be populated. When notice was first given that a ghetto would be created in Krakow, everyone assumed that the location would be Kazimierz. After all, that's where the majority of Krakow's Jewish population of 66,000 lived. South of the River Vistula in Krakow, the district of Podgórze couldn't really be categorized within such cultural terms. People of all religions, backgrounds and ethnicity lived there. If you had to apply a label at all, you'd say that they tended to be poorer than those on the north side of the river. Podgórze was Krakow's industrial heart, so those homes were filled with manual laborers. On the same day that the Jews received orders to relocate to the Jewish Ghetto, the people of Podgórze were ordered to leave. They were given just days to find somewhere else to live, pack and transport their belongings. Needless to say, that was a bit of a shock. After the Podgórze Ghetto had been liquidated, all of those homes stood empty again. Once the stragglers had been shot, the corpses cleared again and the belongings of the Jews sorted into the appropriate warehouses, an invitation went out across Krakow for Poles to move back in. Most of the ghetto walls were demolished, the gates torn down and the barbed wire wrapped again into coils. The roads opened and the tram began to stop there once more. Podgórze is still a residential area. Tourists peer, reflective and stunned, towards windows trying to imagine what it must have been like, when dozens of people were forced to live in one room. But those tourists are having to mentally erase from sight the modern belongings positioned on window-sills. The district is not a museum, nor a frozen memorial to those caught up, deported and massacred during its history. These streets are not derelict. Vans deliver stock to the open shops. Parked cars line the kerbs. There's a busy pizza delivery place, in the former Jewish Resistance building, on Plac Bohaterów Getta. You could eat your pizza, while sitting on a steel chair in the art installation. Image: Ghetto Memorial in Podgórze, Kraków. My friend asked our driver if Podgórze has a bad reputation amongst the population of Krakow. Is it a particularly desirable place to live? Jack hesitated before answering, as if to carefully consider his words. It wasn't a question of finding the right English phrases. He was flawlessly fluent. "It's poorer people, who live here." He stated, but left it at that. The implications piled up. It seemed that Podgórze had merely paused, become a ghetto, then carried on regardless once the Jews had all gone to the concentration camps. Then I considered it further. That wasn't quite what Jack had been saying at all. They were people who could only afford to raise their families in cheap housing. Matters of economy meant that they needed to get past certain facts. Like every room in their home had once witnessed scenes of misery, suffering and starvation; that bodies occasionally still resurface from hidey-holes so good, that they were never found, and the people were trapped inside; that a famous massacre took place on the streets outside. It's not like anyone can really forget it. The tourists come every day, with tour guides telling these histories loud enough to be heard by all the group. Plaques and information boards adorn several streets, or are fixed to noteworthy houses. Just walking down any given road in Podgórze is a history lesson. There's no way that parents could hide such atrocities from their children, nor escape the fact that such things probably happened inside their child's bedroom. It's not a situation designed to salve nightmares. Podgórze will probably never shake off its past - nor should it - but life there does continue. The tourists come and go; the residents make the best of cheap housing with a history; and the ghosts of the Ghetto are remembered in steel chairs and photographs. Abraham Neumann was a famous Polish artist killed in the Krakow Ghetto. Mordechai Gebirtig was a famous Yiddish poet and songwriter, who died in the Krakow Ghetto. This is an audio CD of his compositions while in there. 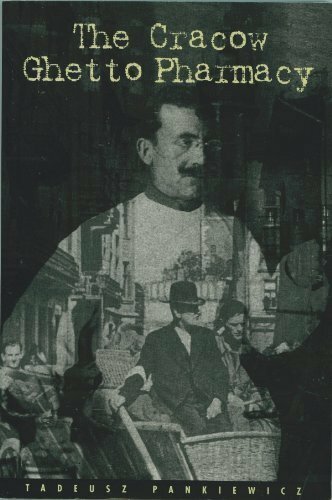 Dr Jim (Jacob) Baral survived the Krakow Ghetto. As an eminent dermatologist, he went on to be the co-discoverer (along with Dr Douglas Reyes) of Reyes Syndrome. Miriam Akavia is an award-winning novelist and an editor of anthologies recording testimonies about the Holocaust. 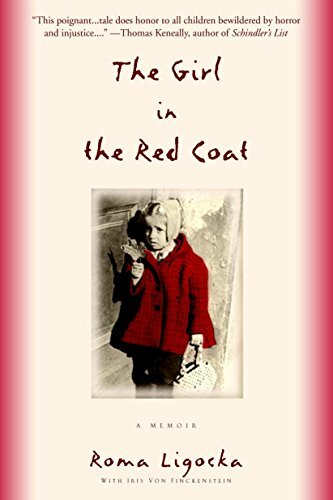 She survived the Krakow Ghetto as a child. Nominated for 7 Academy Awards and winning three, The Pianist tells the story of a musician in the Warsaw Ghetto. 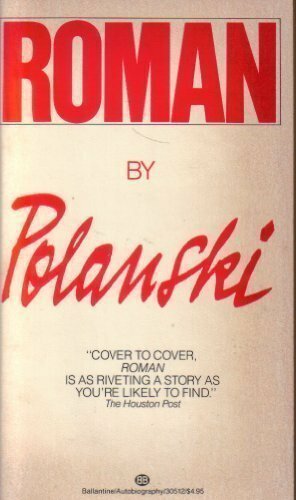 It was directed by Roman Polanski, who survived the Krakow Ghetto. While in the Krakow Ghetto, Dr Rappaport solved a mathematics problem which had stumped Pythagoras. He managed to get his paper smuggled out before he was transported to a concentration camp. He didn't survive, but his theorem remains unsurpassed. I'm glad that I was able to take you there so well. It is a very moving place to visit. 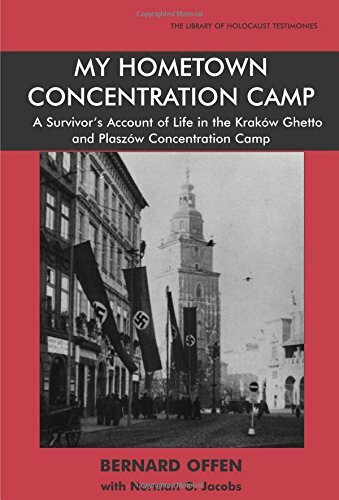 Such a vivid journey through the place, experience and the atrocities of a ghetto, from the days of the Holocaust to today. Great span of feelings and awareness, with depth and breadth. It was heart-breaking, but still a fascinating place to visit. It really brought it home what happened there, in ways that history books never could. Wow! I'm glad to have made such an impression. I do recommend visiting the Krakow Ghetto. It's small enough, but large enough to grasp while you're there, in a way that Auschwitz isn't. I've just read bits of this to my husband, who has visited Poland many times but not yet made it to Krakow. I think we may have to put that trip on the bucket list. Thanks Jo.